No one ever talked or did stuff like they did in 80’s movies. Ever. 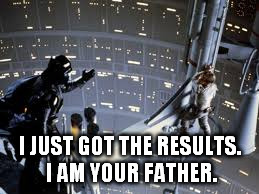 In the future, they’ll probably dig up 80’s movies and come to conclusions like: Ferris Bueller was a god, aliens could phone home from Earth, “wax on, wax off” was a common phrase, and paternity results were only told to your child in space, after you cut off their hand. They’re going to think the 80’s were even more messed up than they were. And what was with romance in the 80’s? 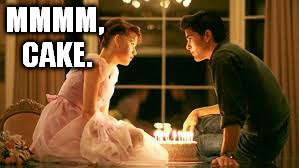 Why sit on a table with a birthday cake and a cute boy? I can think of much better things to do…with that cake. Everyone was dancing – dirty dancing, flashdancing, Kevin Bacon dancing (don’t know what else to call it). 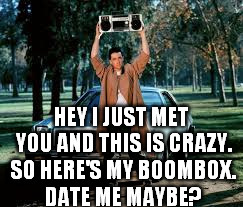 A guy with a boom box and a trench coat outside your house…nowadays, restraining order, or it would go viral, or both. Officers, gentlemen, risky business, funny business. Adventures, in space or babysitting, as long as they were most excellent, dude. Supernatural, psycho, science, time travel – sometimes all at once. Where’d they get all the gremlins, goonies, vampires, muppets, and aliens? Actually, that all sounds like the soundtrack to my 80’s. Know what also ruled in the 80’s? Political incorrectness. Who could worry about offending anyone when girls just wanted to have fun and boys wanted girls to have fun, especially with them? I kind of miss it. Sure, political correctness is good in theory, don’t say unto others what you don’t want said to you, but has the correctness over-corrected? I don’t know if you can change human nature, people just say weird stuff. “That’s the best kind of cancer to have.” Let’s review that sentence. Nope, still looks weird. The best kind of cancer is no cancer. “Don’t worry.” Why are they telling me not to worry, is it because they know I should be worried and they don’t want me to panic? 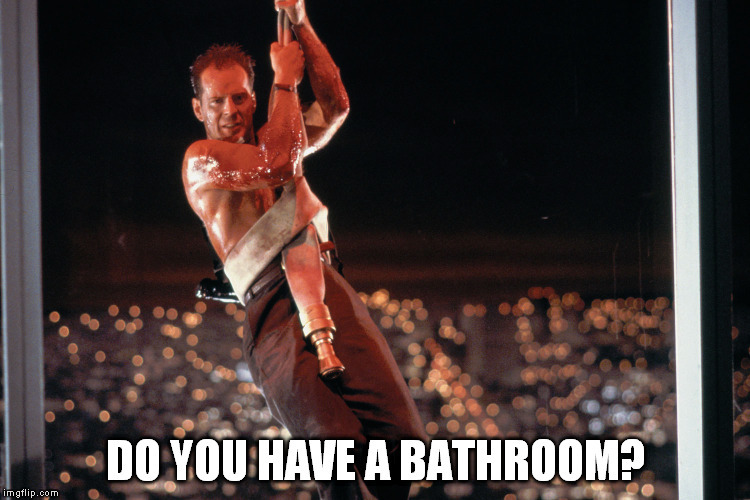 “Do you have a bathroom?” Did you mean to ask if you can use my bathroom, because yes, I have a bathroom, I don’t ‘go’ in the yard. “Money won’t make you happy.” I think money and I would be very happy together, we’d make the perfect couple (couple of million). “Time heals all wounds.” Not true. Time doesn’t heal anything, it just passes. “If you get lost in the woods, don’t panic.” Of course I’m going to panic! I’m lost, in the woods!!! Surrounded by bears, badgers, and bugs, maybe zombies in the dark (when I picture being lost in the woods, it’s always dark), and with my luck, zombie bears, badgers and bugs (note to self, pitch a spin-off to AMC, working title, The Walking Bears, Badgers, and Bugs™ ). “Everything happens for a reason.” Technically correct, but I’m not sure that’s how people mean it. “I think therefore I am.” Not true for everyone, have you been on the internet? “I know you are, but what am I?” This one is actually timeless. Back to 2015, my Don’t Worry, Be Happy 365 day project enters Week 3, will I falter? 1. Remove 15 minutes or more per day of sitting time (replace with dancing, but with less enthusiasm to Falco’s Rock Me Amadeus, my knee will thank me). 2. Remove another 100 calories per day (Again, not veggies…perhaps cake, but not, like chocolate cake, right?). 3. Remove 15 minutes or more of screen time per day to read or research. 4. Do 1 thing I’ve put off doing. 5. Read a book I said I’d never read (doesn’t leave me the range you’d think it would). 6. Pay it forward, aka do something good and don’t tell anyone what I did. 7. Try a food I haven’t tried (I guess I can’t sneak cake in and pretend?). Awesome post! The 80’s was a great decade for pop culture. Love the movies and music, but nobody was blogging in the 80’s. How funny would those blogs have been? Are you trying to say that Ferris wasn’t a god? Why, that’s just not true! I mean, it couldn’t be true… No ma’m, I won’t believe it! Stop spreading lies! I am rockin’ my goals (pun completely intended). Okay – did you seriously fall and hurt yourself? Did I miss something?! Totally love the 80’s movies!! And I’m loving your goals – can’t believe you are up to week 3! Thanks, I can’t believe I’m there either. It’s been fairly easy in some ways and difficult in others, but so far, I’m enjoying the process. Thanks for dropping by and RTing, I appreciate the support. Ah, the 80s. Definitely my era. It’s funny because now I am having my kids watch a lot of the great movies I grew up with and so many of them appeared in this blog! My kids like them…but then again they’re not teenagers…yet!! My son is 12…save me from those teenage years!! I still say Falco was saying, Hot potatoes, hot potatoes. I too blame the 80s movies and media! Actually I don’t but it would explain a lot . . . I blame the 80s! They are trying to sell ugly pants again but this time, we are wiser . . . Somehow I missed the fun of the eighties. Very serious work being done. Thanks for the recap which brought a smile. Yes it is. Hope the same for you. Great post! I loved going back to the 80s with you! I love the 80’s because I can still remember them, I could still do crazy stuff and get away with it — or did I? Hmm. The best part is I remember most of the 80’s. omg yes to this entire post! PI was way more fun than PC at least the lengths it’s gone to now. I have a friend who was born in the wrong decade- but he acts like he’s still in the 80s. These days: guys holding ipods over their heads outside your house? Just not the same as the boombox. 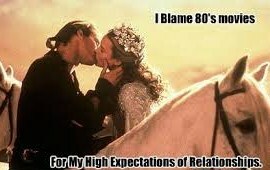 Thanks 80s, so much for my unrealistic expectations! Interesting. Now I’ll have to look up some of those old movies. I don’t make them like They used to. Happy days. Thank you for sharing. Isn’t it wonderful the way our memory works? I’m more a 70s boy, to be honest; I wore a suit a lot in the 80s and matching socks. Matching each other, not the suit. And I ran. For fun. No, not fun but not because I needed to get away. Unlike the 70s. And I paid rent on time – in fact having rent money alone distinguishes the 70s and the 80s. I think I went to an opera in the 80s. And a ballet. Though it might have been one and the same as I fell asleep and woke up in the 90s with children and a sort of migraine. So were the 80s good? They sound good, don’t they? In theory. Like Cheerios and flossing. Though not together. Maybe if we hadn’t been so keen on buying curtains I might have seen the 80s. But they’ll soon be the new 60s so I’ll enjoy them then. Thanks Donna. Thanks for dropping by and making me laugh…your decades sound like they should be in a book, with matching pages? Loved that, particularly seeing Judd Nelson again – I had such a crush on him in that film! Thank you, yes–I direction you’ve taken with your writing. I’d be happy to live in the 80s again, especially if I could be that young again. The 80’s were awesome…as is this post. Time gives us the gift of amplifying the good and muting the bad. Love this post! Brings back so many reminders of some of my favorite movies; many of which I’ve showed my boys already too.